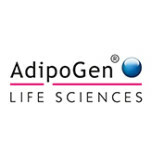 Adipogen Life Sciences is a leading research reagents company with its corporate headquarters is in San Diego, USA and the Operational headquarters and production in Switzerland. A motivated team of highly-skilled individuals develops and manufactures new products for the Life Science Research Market in its main areas of interest including obesity & diabetes, immuno-oncology, inflammatory diseases, innate immunity (inflammasome) and antimicrobial resistance. A major focus is on innovative and advanced ELISA Kits. In addition to the antibody and protein facilities, Adipogen Life Sciences owns chemical laboratories, enabling the company to isolate unique natural products and to develop new and innovative small molecules and rare antibiotics. Life Science Research Market, Antibodies, Recombinant Proteins, ELISA Kits, Small Molecules, Rare Antibiotics, Obesity & Diabetes, Inflammasomes, Immuno-Oncology, Inflammatory Diseases.